Mahendra Singh Dhoni is i known to finish a game that too in style. The man on Friday won his first Man of the Series in ODIs since 2011 after helping India achieve their first-ever bilateral series win against Australia at the Melbourne Cricket Ground. 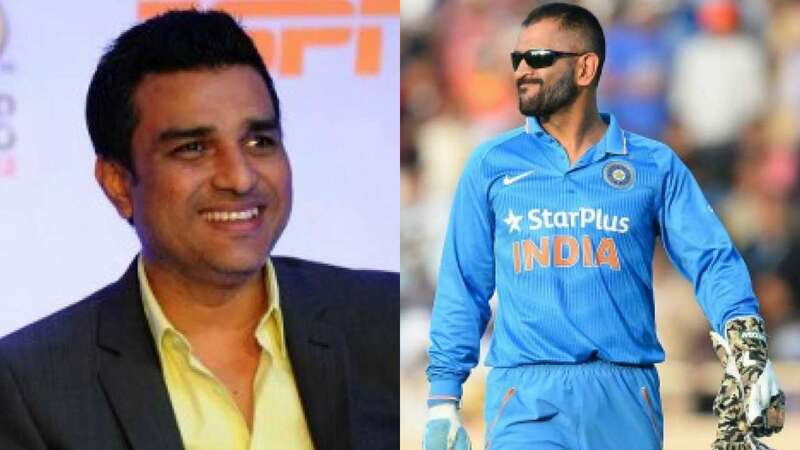 With many people showering praises for the 37-year-old wicketkeeper, India’s former batsman Sanjay Manjrekar also had a few words for Dhoni. He said that Dhoni is being able to achieve success because his mind is still at its prime even though he has lost a bit of physical ability and confidence. The World Cup-winning skipper hit an unbeaten 87 in the series decider as India gunned down a total of 231 with seven wickets and four balls to spare. “[Dhoni is] clearly not at his prime… The software – his intention, his mind is still at its prime. He knows exactly what is needed. The hardware is not quite keeping in touch with the software. The hardware was a lot better 5-10 years back. He would hit sixes at will… he doesn’t have that ability or the confidence now but he finds ways to stay there till the end,” Manjrekar said. Dhoni was criticised for his slow knock (96-ball 51) in India’s 34-run defeat in the first ODI. He, however, got back and clinched two back-to-back match-winning half-centuries in the second and third ODI in Adelaide and Melbourne, respectively. Not just Manhrekar, Indian skipper Virat Kohli has always been in support of the wicketkeeper-batsman. Kohli hit back at Dhoni’s critics and expressed that he has confidence on his senior compatriot. “Every batsman needs that kind of rhythm and runs next to your name to gain confidence. People say a lot of things on the outside. As an individual, I know that nobody is more committed to Indian cricket than MS [Dhoni],” Kohli told the media in Melbourne.